The evidence base on parental engagement is limited. It’s tricky to get right – even more so in secondary than primary. The home learning environment is associated with children’s school performance at all ages. What parents do with their children matters more than their income or educational qualifications. Fostering better relationships with families is important for a wide range of school outcomes. So whilst parental engagement can be tricky, it’s worth investing time in. The ‘Millennium Cohort Study’ was a longitudinal study that looked at the development of babies born at the beginning of the 21st Century and has given us a useful insight into this. The results show some interesting patterns. The percentage of children reaching a good level of development appears to decrease as their families get poorer. However, it is not as simple as this. More children reached a good level of development (58%) from poor families with a high parenting index score, than those from a rich family with a low and medium parenting index score (42% and 55%). So, what parents do with their children can overcome any issues with poverty. Promoting the development of reading habits. Secondary – independent reading and strategies that support independent learning. Showing students how to make flashcards and then providing parents with guidance on how to use them. More on this here. Using Cornell note-taking in lessons and then explaining to parents how they can support their children with using these. More on this here. Giving students knowledge organisers and then explictly teaching them (and their parents) how to use them. More here. Through retrieval practice quizzing at the start of lessons (low stakes questions on previously taught content) encourage children to build up a set of ‘cumulative quiz questions‘ that their parents can then ask them. Provide students with completed ‘mind-maps’ but then give their parents guidance on ‘blind mind-mapping‘. This is where students trace out a blank copy of the mind-map, that they then have to try and complete from memory. The beauty of this approach is that it does not require parents to be subject experts. They are not being expected to ‘teach’ the subject, they are just supporting their children with self-testing – a learning strategy with plenty of evidence behind it. Evening workshops are a great way of sharing these strategies with parents, whilst also serving to foster a culture of school and home working together. What the teachers are doing in school can be supported and developed by parents at home. This is a ‘win-win’ situation – parents feel empowered and the learning that is happening in lessons is being embedded. This blog is not a shameless attempt to boost Class Teaching’s monthly visitor stats by combing two educational zeitgeists. However, it is fair to say a lot of keyboards have been collectively tapped over the past few months creating blogs and tweets about these two heavyweights from the world of evidence-informed practice. Indeed, the oft-quoted Dylan Wiliam described cognitive load theory as the “single most important thing for teachers to know,” while the Education Endowment Foundation rates metacognition alongside feedback as the intervention likely to have the greatest positive effect on learning. The truth is though, that the two are closely connected, and so to apply the theories with fidelity (i.e. in the manner they were intended) both must be understood, as must the relationship between them. Put simply the relationship is thus: cognitive overload is the enemy of learning, while metacognition can be learning’s best friend. Therefore, we can exploit the benefits of metacognition in order to manage cognitive load effectively. More precisely, the language of cognitive load offers us a more exact understanding of some of the greatest challenges to learning, while the six stages of metacognition offer us a framework to help manage cognitive load and help our pupils cope with these challenges. As with all written models of thinking and learning the above diagrams are both deeply flawed. Thinking is far more messy than they suggest. However, they do provide a basis for our understanding of the relationship between these two ideas. Cognitive load theory, developed by John Sweller, offers a model to help understand the load our working memory can hold at any one time, and what specific factors either maximise or inhibit our working memory capacity. As the diagram suggests intrinsic load (the inherent challenge of the task) must be managed, extraneous load (elements that may occupy working memory beyond the prescribed task) must be reduced and germane load (pre-existing memories that support the new knowledge) must be maximised. Metacognition can be of particular help in both managing the intrinsic load and maximising the germane load. The particular way it can support managing the intrinsic load is through the teaching of metacognitive strategies to support the completion of complex tasks. For example our MFL department at Durrington had been finding that their students struggled with the photo task on their GCSE speaking exams. The task is highly challenging, multi-faceted and required students to complete substantial planning. 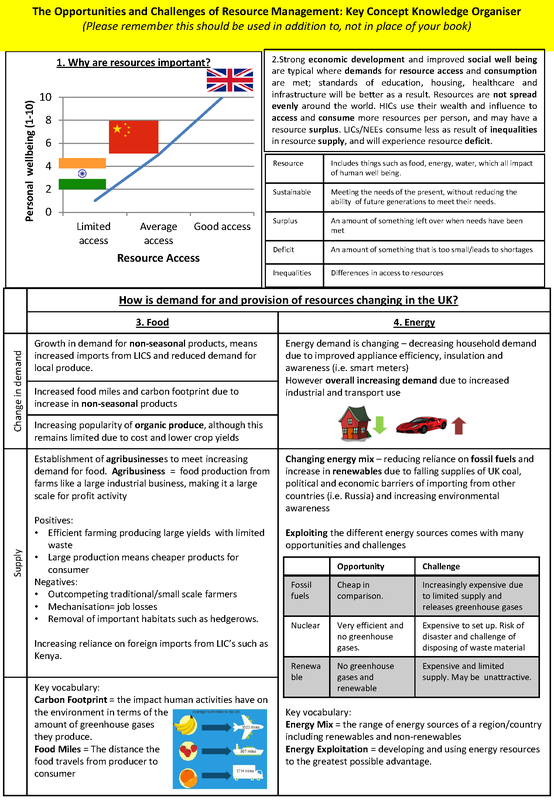 In order to support students the department broke the planning element of the task into 5 separate steps, produced a knowledge organiser which scaffolded these steps and used the 7 step model (shown below) to explicitly teach how to complete them in sequence. By doing so the department had managed the intrinsic load of the task. It had not become inherently less challenging but by giving students a metacognitive approach to follow the department had equipped students to chunk the task. This would mean they would deal with one section of planning at a time, thereby reducing the cognitive load they would be experiencing at any one time during its completion. Metacognitive strategies such as this may come easily to subject experts but for novices they must be explicitly taught. If not challenging tasks will always create cognitive overload and therefore be at high risk of being tackled unsuccessfully. Furthermore, metacognition can support through the maximising of germane load. Metacognition requires students to reflect on past experience in order to inform future or current learning. By doing so they can tether the learning they are doing to similar past experiences and as a result support the learning taking place. This is because students will have to devote less of their working memory capacity to thinking about how to complete the task (the procedure) and therefore have more available to apply the new content (or knowledge) they are dealing with. A word of warning however. Teaching metacognitive processes could potentially have the opposite effect on cognitive load. For example if you wanted students to improve their metacognitive regulation through greater evaluation, and your way of doing so was to add further instructions to an already complex task that were intended to encourage self-reflection, you may be unwittingly adding to the intrinsic cognitive load of the task. Therefore always consider when you move to the explicit teaching of metacognition, that it should be a separate phase of learning and not a bolt-on. Certainly combining these two theories is a head-scratcher. However, to implement the lessons of either one effectively we must consider the other alongside. Yesterday afternoon we had the pleasure of walking around the school and popping in to some subject planning and development sessions (the nature of which you can read about here). As ever, there was some great work going on in curriculum teams both in terms of subject knowledge and subject pedagogic knowledge. In history, curriculum leader James Frost was leading his team in a session based on self-efficacy. This was a central theme to our INSET day a couple of weeks ago and you can read about the research evidence and how it might be put into practice here. James had spent time before the SPDS reviewing the research evidence and then planned a session in which the team discussed and developed strategies for self-efficacy that were history specific. This was an excellent example of a curriculum area taking a whole-school teaching and learning focus and making it work for their subject so that it has real impact in the classroom. In art and textiles, the team led by Gail Christie were reviewing the amazing work produced by year 10 students. The aim was to collectively assess and critique this work so that criteria for all levels is shared and understood; this then supports the teachers in the specific feedback they can give to students to secure their best outcomes. Furthermore, the team were resisting the urge at this point in the academic year to focus entirely on year 11, and instead were purposefully looking at year 10 work so that there are clear plans in place for these students with plenty of time to ensure action. Along the corridor in ICT, computing and business Chloe Wheal’s team were thinking about modelling and explanations, which are two of our six T&L principles. In particular, the team were having an in-depth discussion about how to make use of worked examples to break down the teaching of algorithms into manageable steps so that students’ working memories are not cognitively overloaded. During the discussion, Jack Griffiths provided a superb example of an explanation when he described the way in which a particular algorithm works as being like musical chairs. This use of knowledge that is already secure, or an existing schema, is a very effective way of making new and abstract concepts easier to understand. It was great to see the team sharing ideas that they could immediately take back to the classroom for the benefit of students. Downstairs in maths, Kate Blight and her team were busy investigating the exam questions that year 11 students have struggled with the most in recent assessments and thereby maximising the time that is left before terminal exams. This was a clear example of how SPDS can be used to tackle the misconceptions and most challenging areas that students are likely to encounter in a subject through the collective expertise and experience of a team. Finally, in science Jody Chan was modelling to the team how to go about teaching molar equations. Jody was using an approach that has proven very effective in SPDS: In the role of expert teacher for this topic, she was at the front of the classroom and explicitly demonstrating what she would do with a class in terms of talking aloud and writing on the board. At the same time, Jody was able to articulate the likely questions that students would ask at particular points and how these are best answered. This resulted in the team having secure subject and pedagogic knowledge ready to use with consistency across all science lessons. They were completely teaching and learning focused. Curriculum teams have worked hard at finding other, more efficient ways of doing the ‘housekeeping’ that is a staple of busy schools, for example through weekly e-bulletins. Consequently, this fortnightly hour is totally committed to developing and improving the learning in the classroom. The sessions were planned carefully in advance. SPDS form an integral part of our monitoring and review process at Durrington, and it was evident that the hour was finely tuned to acting upon what had been seen in lessons and the next steps required to achieve each curriculum area’s goals. With teachers able to spend time talking, thinking and planning lessons together we have no doubt that students will be in a position to thrive both at school and beyond. Lots of people are thinking and talking about curriculum at the moment, which is a good thing. Curriculum, teaching and assessment are inextricably linked. When all three are aligned and of the highest quality, they should facilitate effective learning for all students, irrespective of their starting points. In turn, this should translate into all students making good progress and achieving strong academic outcomes. This matters, because it gives them the best possible life chances. 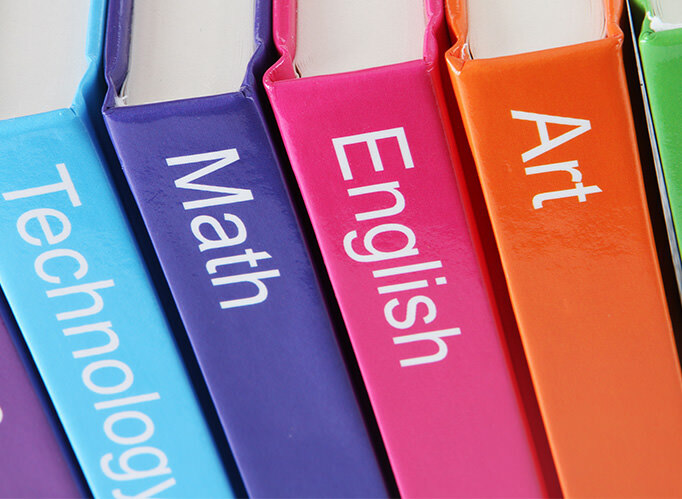 The curriculum outlines the key knowledge that students need to learn over their time with us in order to be successful; this will then drive what and how we teach. A challenging curriculum will require students to think deeply about subject and lesson content. In other words, the level of challenge in the curriculum sets the level of challenge in our classrooms. All students acquire transformational knowledge that takes them beyond their experience. All students are encouraged to appreciate the value of each subject and content of lessons. All students are well-prepared for terminal exams at the end of year 11. All students build their academic background knowledge and cultural capital by acquiring tier two and tier three vocabulary. At each key stage, all students acquire and retain the foundational knowledge required for the next key stage at the very least. The curriculum must provide a map that directs what knowledge should be taught and when it should be taught. However, this should also allow some flexibility for teachers to respond to the differing needs of their classes. The curriculum must be taught in a coherent and step-by-step sequence that allows for the incremental development of knowledge within each subject/topic. When possible, each new unit of learning should build upon the previous unit. Broad and deep factual knowledge is usually the prerequisite for skills such as critical thinking, creative thinking, evaluation and analysis. Learning and performance should not be confused. Curriculum design should support real learning which requires durable changes to long-term memory. New tier two and tier three vocabulary should be incorporated into curriculum planning. Each subject/team should develop a long-term map that clearly lays out the curriculum across the relevant key stages, so that the knowledge students are expected to acquire each academic year is made explicit. This knowledge should build cumulatively in terms of its breadth and depth. Subject/teaching teams should identify the concepts that are central to the mastery of each subject. They must then maintain an unrelenting focus on helping students to learn this knowledge. Regular retrieval practice and spaced practice should be built into the curriculum to help students form durable long-term memories. CPD, specifically SPDS (fortnightly subject, Planning & Development Sessions), must maintain an unrelenting focus on improving and evolving the curriculum, and ensure that all teachers are developing their subject pedagogical knowledge. 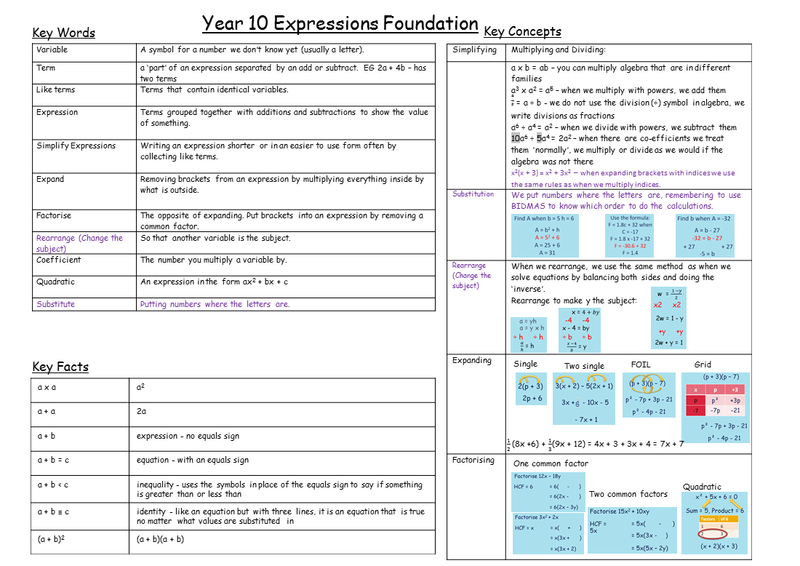 Each unit of work must be supported by a knowledge organiser that stipulates with precision the material-to-be-learnt. 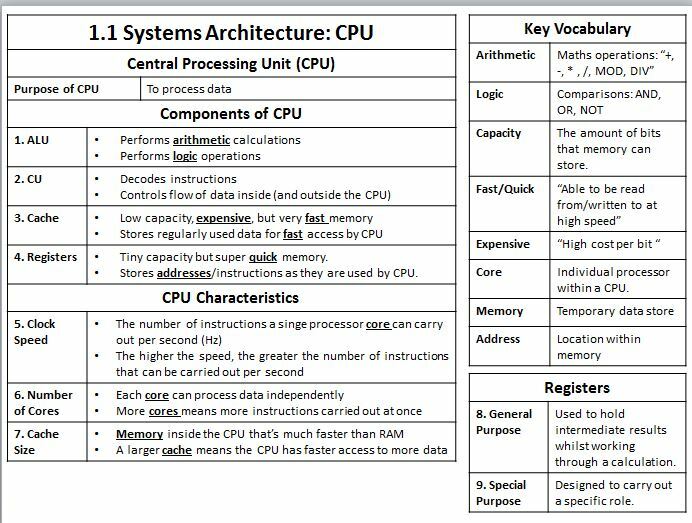 This must include relevant tier two and tier three vocabulary and should be used consistently across each department. Where appropriate, strategies must be in place (e.g. check lists) that support students in self-regulating their learning of the curriculum. Homework should be planned into the curriculum and consistently applied across teams. It should provide students with the opportunity to practise, embed, extend upon or apply the knowledge that they have been taught in lessons, or provide the opportunity to improve a piece of work. Key curriculum documents must be centralised and made available for students, parents and carers via the VLE. We are not the only ones thinking about the curriculum. There are a huge number of blogs out there, written by colleagues who are thinking very deeply about the importance of curriculum. These can serve as a really useful stimulus for others who are thinking about their their curriculum. 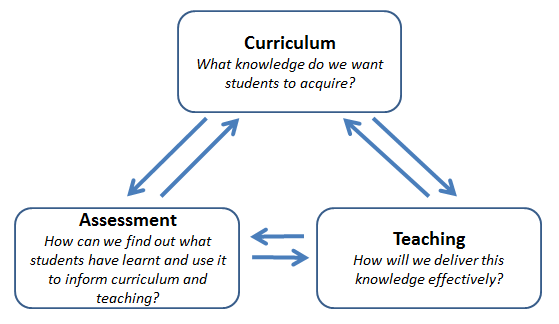 What is a knowledge rich curriculum? Achieving coherence in primary science (why primary science needs to be less like the Simpsons and more like Game of Thrones). Confessions of a Curriculum Leader: setting out a primary curriculum in meticulous detail. Thanks to Dawn Cox for the following links. She has also compiled a list of blogs related to curriculum here. the Durrington Research School are running a 3 session twilight training programme entitled ‘Developing an evidence informed knowledge-rich curriculum’, starting on 29th April 2019. Further details and booking are available here. If I’ve missed any other useful blogs (which is highly likely! ), please do add them in the comments below. In the late 1970s Albert Bandura of Stanford University published his research findings on self-efficacy. Self-efficacy is not so much about generalisation of a person’s confidence but the confidence level about being successful with a specific task you are tackling at that moment. Bandura suggests that self-efficacy is therefore not domain specific like esteem, but task specific and is about the confidence for succeeding on the very task you can see in front of you at that time. Shaun Alison explores the idea of self-efficacy here. The EEF ‘Metacognition and Self-Regulation’ guidance report offers seven recommendations to encourage metacognitive self-regulating learners. Recommendation four suggests that motivation is an integral part of self-regulation. When learners are being challenged it is important that they feel emotionally supported and motivated to persevere. 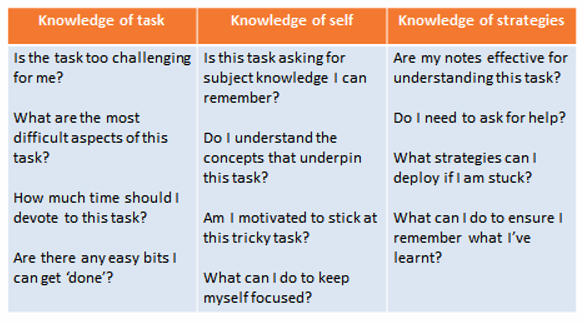 If the given task is difficult, then a pupil will need a strong sense of self-efficacy to complete the given task – which will involve the deployment of metacognitive strategies. One aspect of this is rewarding specific aspects of their effort, with regards to the task e.g. ‘I like the way you stuck with balancing that chemical equation, even though you got it wrong to start with’ rather than absolute levels of achievement; to give feedback about personal progress, and to avoid social comparison. These students typically exhibit an awareness of the degree of challenge in the task they are attempting and are able to draw on their metacognitive resources to overcome any obstacles with the task – through asking themselves these questions. The level of challenge is fundamental in the process. If it is too low or too high then the learner will not ‘accept’ the challenge or will suffer cognitive overload. We can support this by explicitly teaching students to use these questions when tackling a task. 1. Stay in the struggle. Do not give up straight away. 2. Use your teachers feedback on previous tasks to help you with this one. How might this be relevant to what you are doing? 3. Use your exercise book to check for models or completed examples you have already been successful with. These can help you get started. 4. Embrace uncertainty and give it your best: ‘it could be, it might be’ or ‘maybe I should try…’ are all useful phrases that will identify possible next steps. 1. Improve their pedagogical subject knowledge – this will help teachers understand common misconceptions and how to ‘unstick’ students. 2. Make complicated tasks and ideas accessible through effective modelling, questioning and feedback and plan how to ‘unstick’ students when necessary – worked examples are crucial in allowing students to access the more complex elements of a task, because they free up the working memory. 3. Use scaffolds judiciously and with subtlety – these should cause thinking and be faded away over time to support students with completing tasks independently. Spaced practice (or ‘spacing’ or ‘distributed practice’) involves repeatedly coming back to the information that we are learning in various short sessions, spaced out over time, rather than ‘cramming’ it into a single intense period – known as ‘massed practice’. Unfortunately, massed practice is often our students’ study habit of choice and, just as unfortunately, many students hold the erroneous belief that it is superior to spaced practice. Spaced practice means that we are given time to forget new information. We then have to work hard to remember this material which, in turn, helps to improve our future learning. Along with retrieval practice, the effectiveness of spaced practice is supported by decades of strong research evidence from the US. In light of this, it is clear that spaced practice has important implications for how we plan the curriculum, plan lessons and help students to organise their revision for tests. The rest of the post is dedicated to examining two questions. First, how can teachers use spaced practice in their classrooms? Second, what are the potential pitfalls and mistakes to avoid when trying to implement spaced practice? Careful curriculum design. To some extent, spaced practice is brought about naturally by the way that school timetables are organised. A student might have three history lessons a week: on a Monday morning, a Wednesday afternoon and a Thursday morning – a timetable which in itself creates a lot of useful spacing. However, an artfully designed subject curriculum can build on this effect very fruitfully. Important concepts should be spaced out across the curriculum and built upon over time. At secondary school, these can be introduced in Year 7 and then reinforced and extended upon as the students move through the years. The first question should be: what do we want our students to know and be able to do by the time they leave our school? The second question: how can we design and organise a curriculum that will cause this to happen? One of the answers lies in the subtle, purposeful and cumulative repetition of the underlying ideas, means of enquiry and processes that make our subjects tick. First of all, however, we need to work out what these are – no mean feat in itself! Cumulative testing. A second answer lies in the implementation of well-organised and thoughtful assessment systems. Sadly, assessment is all too often the enemy of spaced practice. Our assessment systems should be completely tuned into the knowledge we want our students to retain for the future because, whether we like it or not, our students value what we assess. Assessment should emphasise portable, high-utility knowledge – i.e. the knowledge that students will take forward with them to inform their future learning. If we want students to remember something for the long term, it is simply not enough to assess this only once. It needs to be assessed on multiple occasions, which is why end-of-unit assessments should be designed not only around recently learned knowledge, but also concepts from previous units. This way, assessment not only gives us valuable information about student learning, but also provides an invaluable tool for spaced practice. Retrospective homework. A simple strategy is to use homework as a way of giving students the chance to study previously learnt material. For instance, your weekly homework might involve quizzes or questions on previous units. Pause lessons. Similarly, it is often a good idea to ‘pause’ the topic you are currently studying to go back to a topic covered before. This works best when it is carefully planned into a termly or yearly curriculum. Even though it might cause your students to grumble, sometimes it is a good idea to withhold assessment feedback for a week or two, rather than returning it immediately. This can activate the spaced practice effect, especially if your class are given a new task that allows them not only to hone and refine their knowledge, but allows them to re-practice this knowledge a few weeks on. Too often, students perform well in an end-of-term assessment, but do not get the opportunity to come back to this material in a meaningful way … and so it is forgotten. Teach it. Lastly, it is crucial to remember that spaced practice does not sit comfortably with how students think that they learn. Spaced practice, therefore, is best taught in context. Merely telling students that they should space out their practice is unlikely to be effective. Instead they need to be shown what spaced practice looks like in mathematics, in English or in PE. In each subject, it is likely that a different emphasis is taken. Perhaps the most obvious first step is to explain explicitly why and how you are spacing out their practice in your lesson, curriculum and assessment structures. You should then provide structured opportunities for independent spaced practice, perhaps through homework or pre-prepared revision plans. Once spaced practice becomes a habit, then you are likely to be onto a winner. Master it first. It is most useful to think of spaced practice as a revision tool. New topics often require a significant amount of ‘blocked teaching’ – in other words, a series of lessons on the same topic that build gradually so that students develop their knowledge slowly and meaningfully until they are eventually able to start making connections for themselves. It can be unwise to mix up topics during initial teaching as this can lead to confusion and superficial understanding. Spacing is not interleaving. Interleaving is about studying more than one topic side-by-side in the same study session. Spacing, however, is about leaving increasingly longer gaps between study sessions. It is important to understand the difference between the two because there is, as yet, little evidence that ‘interleaving the curriculum’ – i.e. mixing up topics for initial teaching – provides an effective approach to curriculum design. There are more important aspects to a successful curriculum. When applying any education research to the classroom, we must avoid putting the evidence cart before the curriculum horse. Spaced practice does not provide a solution to questions of curriculum content or effective pedagogy. A wonderfully spaced out curriculum is useless if it is also below par and taught ineffectively. However, once a strong curriculum and good teaching are successfully in place, spaced practice can help your students learn in a more effective and efficient manner. And finally. Spacing is not just for exams. If learning is for life, then spaced practice is also a valuable life skill worth teaching in its own right. Group work is a somewhat debateable topic in the education world, teachers are understandably wary of the pitfalls that group work can produce. The EEF’s guide on metacognition and self-regulated learning suggests that pupil-to-pupil talk can help to build knowledge and understanding of cognitive and metacognitive strategies. Thus suggesting that group work, if used effectively, can have positive outcomes in terms of social and academic progress. For any teacher who is looking to implement or improve group work in their lessons, Slavin’s paper Co-operative Learning: What Makes Group Work is essential reading. Fran Haynes has summarised the article here. Fran offers 3 insightful tips into best practice of group work in the classroom. When setting up group work spend time considering the aims. If it to improve student learning, then a structured team learning approach is most likely to be the best way forward. This would still require considerable input from the teacher in the through direct instruction, explicit modelling and feedback. If the aim is to improve all students’ learning then think carefully about how you will create individual accountability. Slavin seems to highlight individual quizzing or assessment, with the scores accumulated for the group, as particularly beneficial for the learning of all students. Support colleagues in reflecting on and discussing how they set up group tasks. 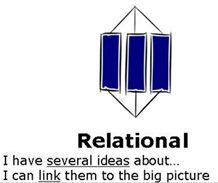 This may help to generate some purposeful activities that can be shared and developed and avoid group work lessons where, for some students, very little learning occurs. This blog aims to show some effective ways group work has been used at Durrington High School recently. Dave Hall had his year 10 drama students working in groups on a piece relating to a traumatic incident and the aftermath of the event. The students were well prepared in the background of the event; they had previously completed work on the emotional, physical and psychological state of those involved. As the goal was to improve script development, dialogue and production skills, Dave decided the structured team learning approach was most advantageous. Students began discussing ideas and then collectively created roles and responsibilities for the success for the piece. Dave was able to establish individual accountability through his assessment criteria and feedback (individual performance skills from the previous unit) which carefully ensured each student was to be assessed individually in their overall performance covering characterisation and staging. This approach ensured the group work was purposeful as all students needed to work together to develop their group performance alongside their own individual progress from the previous topic. Cyrus Dean had his year 7 music students working on playing a piece of music on a keyboard after correctly reading the music and labelling the piece in their booklets. Cyrus checked understanding and then students worked in groups to play the music on the keyboards. Each student was assessed individually and was accountable for their own progress; however peer feedback was clearly embedded into the culture of the group and dynamic of the classroom. This combination of structured learning and informal group learning enabled students to work collaboratively and use specific terminology (pre-prepared from Cyrus) to aid each member of the group’s feedback and subsequently quality of the work produced. Elizabeth Wolstenholme in PE was focusing on gameplay, that is the understanding of positioning and attributes required to be successful in certain positions in football with her year 7 class. 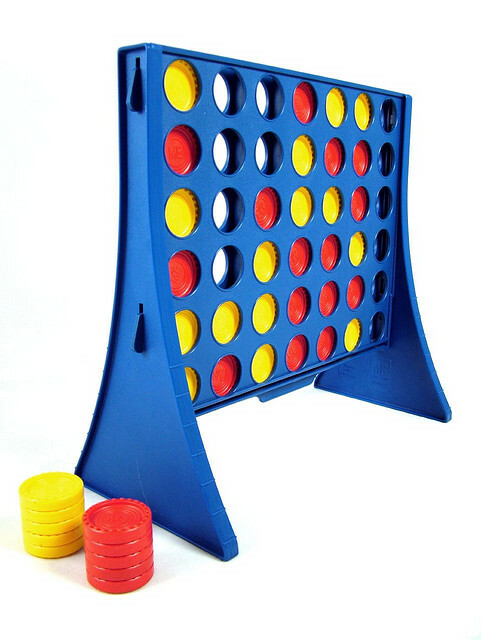 All students had time whilst playing a game to try all of the positions. Elizabeth allowed the students discussion time to highlight the key qualities required for each position in their teams. Students then had to organise their team to suit the individual attributes of each player in line with the requirements for each position. This structured team learning was used well as students had to be aware of not only what their role was in order to be successful but also what other team member’s main roles were too. Elizabeth did this through targeted elaborative questioning, and this ensured students were accountable for their own understanding of not only the positions but also why certain players were suited to certain positions and what attributes are required to be successful within those roles. Classroom culture and a cohesive group dynamic where students regularly work collaboratively and feedback and team work are pillars of the culture. Careful planning and strong subject knowledge – knowing the different elements of a task and how these have to come together to produce the final product, be it a sports game, performance or even a piece of writing. In effective group work where learning takes place, individual students are not responsible for just one element but for all of them. Individual accountability – Simply put, this is achieved through individual assessment at the end of the task coupled with the individual outcomes affecting the final assessment of the whole group.